The perfect weekend bag for the discerning traveler. In today’s world, products that were intended to last your lifetime are increasingly rare. Our goal is to create a beautiful weekender that will improve with age and use. Frustrated with the lack of options to accommodate a short trip or weekend away? We created a stylish solution to replace ugly rollers, oversized duffels and cramped backpacks. 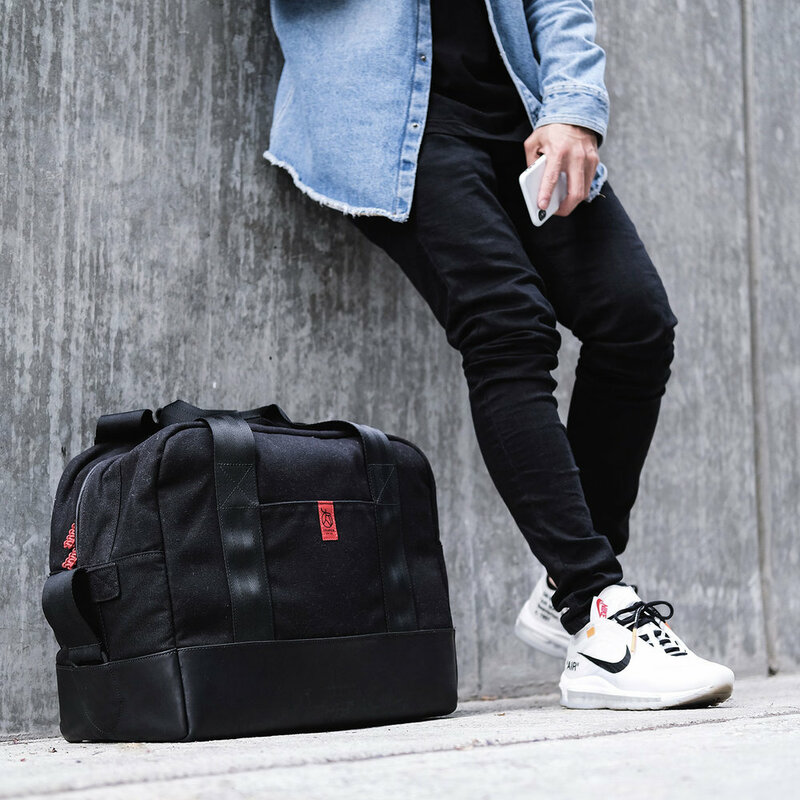 Inspired by functional military bags and parachute equipment, we combined simple construction with honest, durable materials to create a product that will stand up to any adventure. Unlike a standard duffle bag, we created a bag that has a unique profile and proportions. The Aviator has clean lines with rich layers of overlapping texture and memorable color accents. The interior is filled with modern lifestyle features as well as distinctive details. The exterior of the Aviator is constructed from thick, waxed canvas with a premium leather wrapped bottom and nylon handles. The interior sports a Scottish tartan lining, black wool sleeves and foam padding for drop protection. The interior of the Aviator has many unique features including a shoe storage, a sealed water proof pocket and thick wool sleeves for your tech essentials. We also included and soft wool sleeves to store your favorite timepieces.